Apparently, it can turn stormy and rainy even in the midst of June heat! Last week we had a few days of cloudiness and rain, which meant one thing to me - break out the sweaters! Ah well, I recently invested in a clearance find from the American Eagle clearance rack, and I just know this slouchy, thin-knit sweater will be getting a lot of wear! I must be feeling romantic or something, because this outfit is super cute and girly - not a look I'm entirely used to wearing. I'm also wearing oxfords for what must be the first time ever. While I feel they look odd and stumpy on me when worn with jeans, they look perfectly adorable with tights and a dress! For a brunch date with my roommates, it felt appropriate. 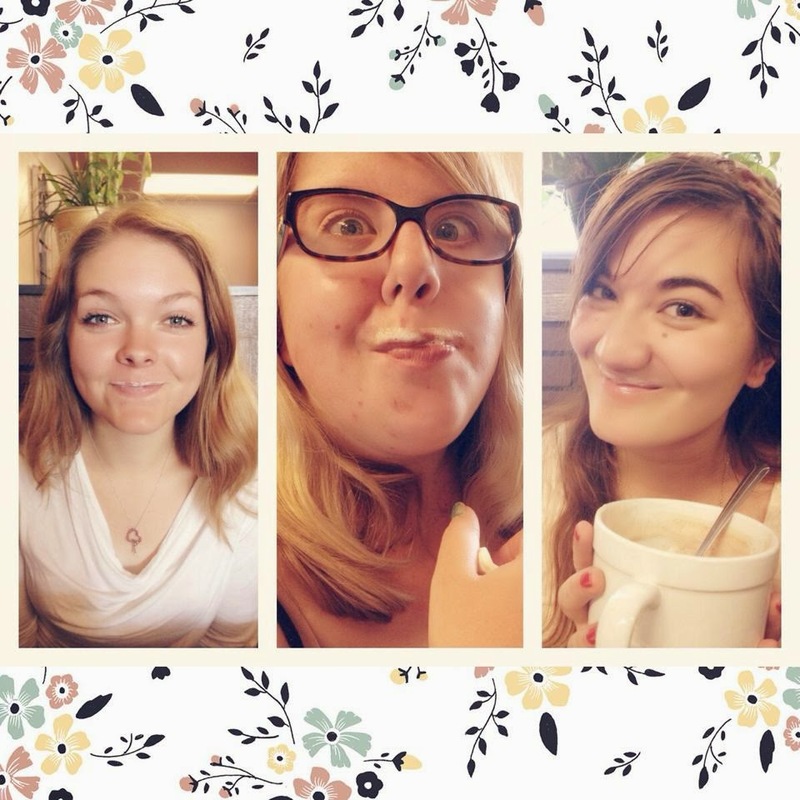 We decided to check out an Italian cafe we'd never been to and had the best time together. It's wonderful to get along so fabulously with each of them! 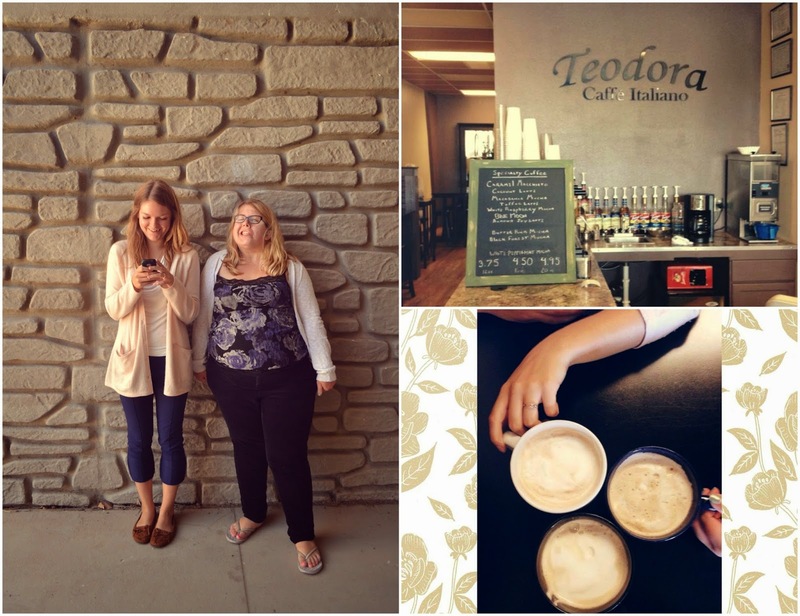 We ate paninis, made fun of each other's foam mustache, went thrifting (omgsssh, found quite a few pretty things that day too), and then took photos. All in all, a fabulous day with some fabulous ladies! I'm starting to think these brunch dates may become a more regular occurence too. Soo cute and girly, Linda- I love it all so much! By the way, where is your bag from? It doesn't show where it's from above. Anyway, I totally love your idea of layering over a dress- too cute:) For some reason I also love being able to wear some fall/winter apparel during the cool mist of summer. Anyway, glad to see you get along with your roommates- hopefully I'll be able to meet great people next year when I head into dorms!! love this outfit, the coloured tights are so pretty! and looks like you girls had fun! So cute look dear! You are very sweet! What a cute look today, I love the tights so much and the sweater is pretty adorable, too! Love how you ladies have fun together! 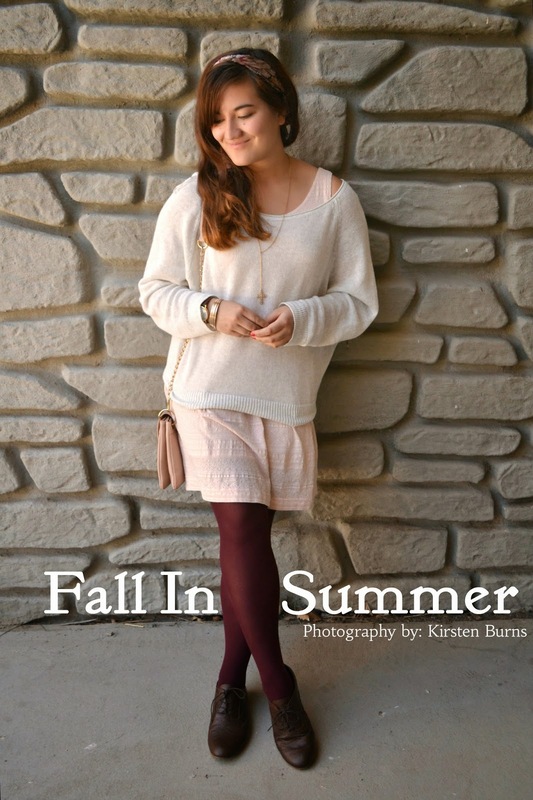 This is so pretty, I love the pastels with the burgundy tights! It's always fun to dress out of season, haha. Pretty combination Linda! That dress and sweater look great together. It's been raining everywhere. And yesss finding new food places is the best! Especially for brunches. I love how cute this is with the oxfords! i always feel really stumpy in mine as well but you look so tall in your pictures! I guess I'll have to take some style notes from you. Amazing skirt and bag, really love this look! 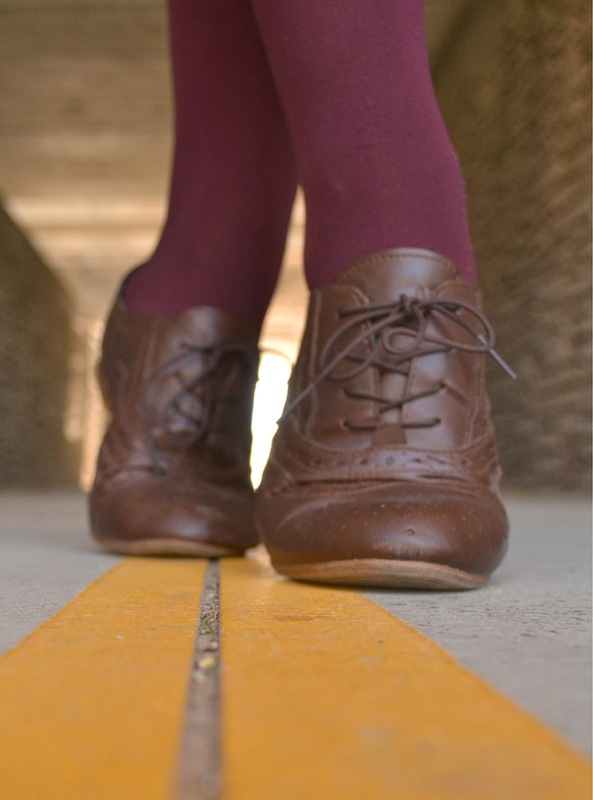 The burgundy tights look so cute with the brogues! Hope you are having an extraaaoooorrrdinary summer so far! This is so different for you, but I love this color palette and the romantic look! Plus, you know how I feel about oxfords :) You look adorable! And that sounds like such a fun day! So cute. I love fall fashion too, and it's pretty much IMPOSSIBLE to get away with it down here unless you have no sweat glands. Lol.